To give you the time to digest and action each lesson. No wait time, lesson one will be delivered instantly to your inbox with the remaining lessons emailed out weekly. Exercise: Weekly homework to keep you motivated, and to make sure you understand the concept of the lesson. Video: Over six weeks you’ll have access to hours of video of Trey and Lauren discussing the topics through storytelling and case studies. This is a money can’t buy, fly on the wall, inside look into the world of real influence. Deep Dive: This is a structured, written version of the lesson, with all of the meat, actionable takeaways and inspiration. This is content that has never been released before and you can use it as a road map on your way to success, referring back to it forever. Selected chapters of "Under the Influence"
Select excerpts of Trey’s timely new book “Under the Influence: How to Fake Your Way Into Getting Rich on Instagram. Influencer Fraud, Selfies, Anxiety, Ego and Mass Delusional Behaviour.”. Each excerpt has been selected to further demonstrate the concepts outlined in that week’s lesson. A terminology section each week for easy reference. 1. 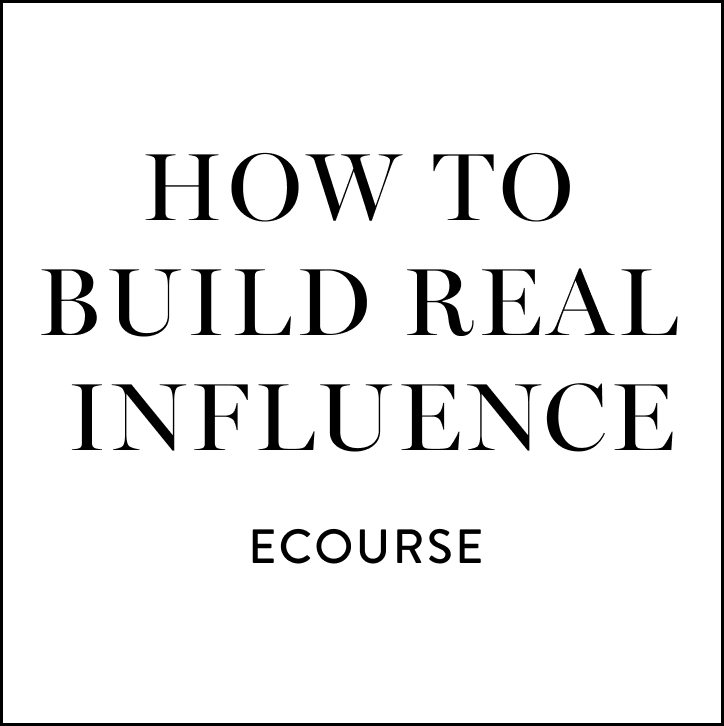 An introduction to having real influence, with definitions, case studies and examples. 2. Finding your unique voice and developing a brand strategy. 3. Finding your ‘secret sauce’ and the three ways to build an audience. 5. The ethics of real influence. 6. How to spot a fake influencer (and why you should not jump on that bandwagon).